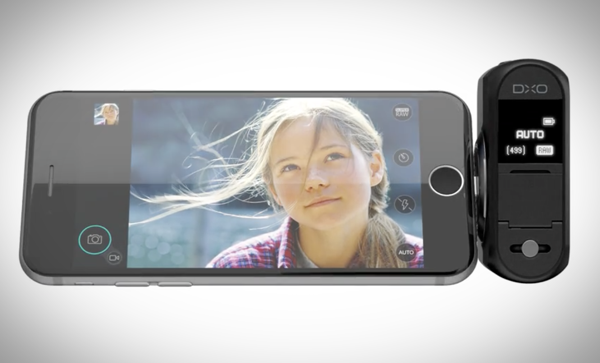 Looking for a way to enhance your already-capable iPhone camera even further? Look no further than the DxO ONE – a camera attachment accessory for the iPhone that will give you DSLR quality photos right on your smartphone. 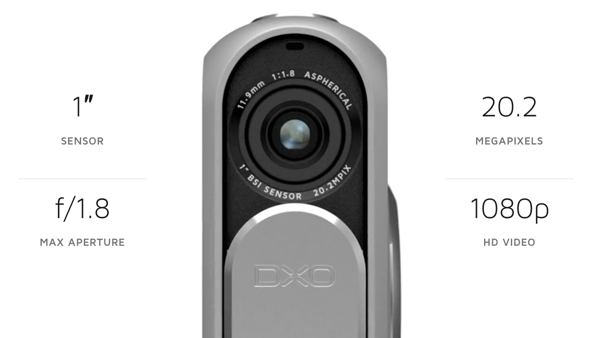 The DxO ONE comes from the famed DxO Labs – a reputed name in the photography industry – and will connect with your iPhone courtesy of the Lightning port and a companion app. Your iPhone will serve as the viewfinder whilst using the DxO ONE’s powerful lens to capture images. Speaking of lens, the ONE is a no-holds barred kind of affair, with a 1-inch 20.2-megapixel CMOS sensor with backside illumination, f1.8-11 aperture, and focal length of 32mm in 35mm equivalent terms. DxO ONE itself is made out of aluminum and swivels 60-degrees, allowing for perfect positioning for almost any kind of shot. 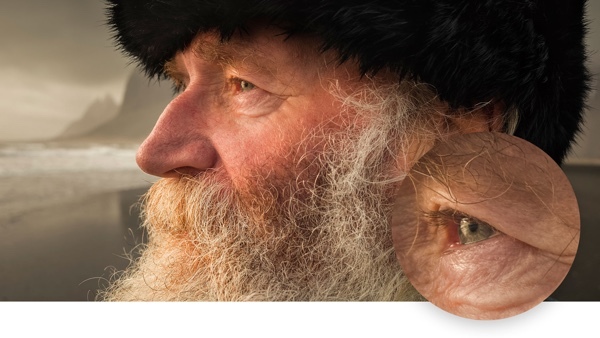 On the software side, DxO claims that the ONE is able to hold its own against any mid-level DSLR camera, courtesy of a software trick called SuperRAW mode. In SuperRAW, the camera will capture 4 superimposed RAW images in quick succession and will stitch them together to produce a stunningly good output. This same concept is applicable to videos as well, with the camera capable of shooting 1080p in 30fps setting. For storage, ONE stores images to the on-board micorSD card, or to the attached iPhone directly, but that might take longer than normal. 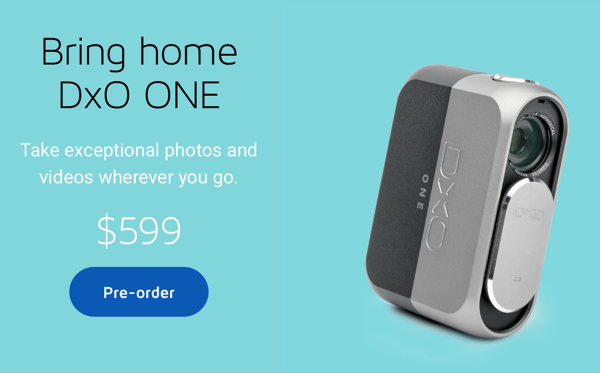 The DxO ONE costs $599, and will ship no sooner than September this year. It is available for pre-order in the UK right now where it will cost GBP500. If the ONE sounds awfully familiar, that’s because the concept is nothing new. While casual photography attachments for all kinds of smartphones have existed for a long, long time, Sony upped the game with its QX10 and QX100 cameras a couple of years back. And then, with the QX1 from the Japanese company – which can basically take any E-mount lenses, including professional DSLR ones – smartphone photography isn’t the same anymore. DxO is aiming to capture a market that is already niche, and with limiting their product to only the iPhone, we will have to review the actual product to see if it really falls into the length of its claims. Um just get a real DSLR for the same price. Why are people saying to simply get a DSLR? Did you people not see that this device is tiny? It’s considerably smaller and lighter than a DSLR which will most definitely not fit into your pocket. I for one, probably would not use the Super Raw mode. You can’t use it to take photos of fast moving objects as it uses the same idea as HDR photos, taking 4 images and taking the best aspects of each to form a more perfect picture. Since I use DxO anyway as my photo manager and editor, I would just run it through Optics Pro and let that do the heavy lifting. For $599, you might as well just get a real DSLR.